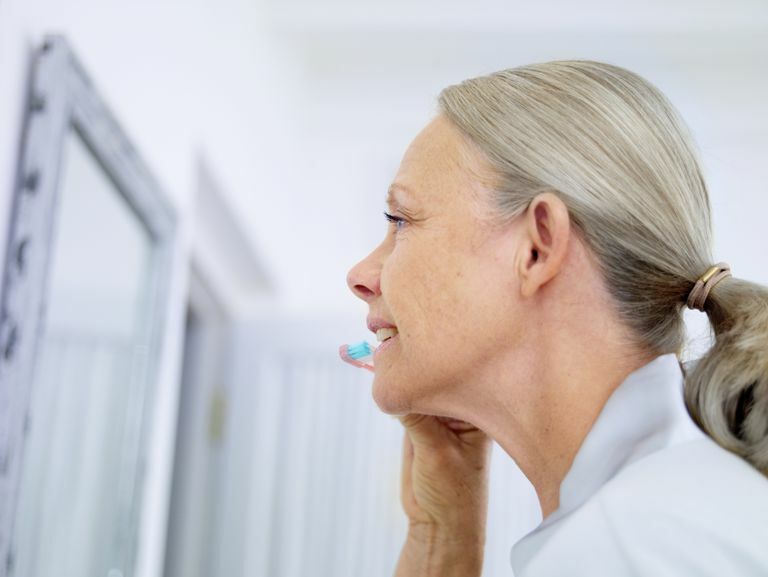 It just doesn’t seem fair: we're told to consume heart-healthy foods and beverages like red wine, dark chocolate, coffee and berries that are said to keep our bodies young, but they all happen to stain and discolor teeth, making us look older. If you want to prevent tooth discoloration, or if you’ve whitened your teeth and want to protect that investment, these tips will help keep your pearly whites pearly white. Two of the main threats to white teeth are foods and drinks that are acidic and deeply-colored. Acidic foods are problematic for teeth because they can erode the enamel, which makes teeth more translucent and reveals the yellow-brown dentin underneath. The result: teeth with a not-so-nice, yellowish hue. Acids in foods also soften tooth enamel, making teeth more vulnerable to abrasion, wear, and stains. Sports and energy drinks, soda, wine, coffee, and tea all have high levels of acidity, so limit your consumption. Deeply-colored foods tend to be more nutritious, but they're unfortunately more likely to stain teeth. Red wine, dark chocolate, teas, intensely-pigmented berries like raspberries, blueberries, and blackberries, as well as colored sauces like tomato, curry, and soy sauce, are all known to stain. Crushing berries and vegetables like spinach and kale in smoothies actually further releases their pigment into the beverage and onto your teeth. Soda and energy drinks containing dyes may also stain your teeth. “If it will stain your tablecloth or your tongue, it can stain your teeth,” says Dr. Kellee Stanton, dentist, and member of the American Academy of Cosmetic Dentistry. Foods and drinks that are both dark and acidic constitute a double whammy against white teeth. Be conscious of your consumption of sweet foods. Candy and other sugary foods threaten overall whiteness by softening enamel and allowing plaque to develop. Don’t let these foods and drinks linger in your mouth. The less time they spend on your teeth, the lower the chance of staining. Rinse with water. If you love to savor your red wine, keep a glass of water nearby and swish immediately afterward to rinse, then swallow. Add crunchy fruits and vegetables to your salad plate. If you're eating berries that can stain, crunchy foods will help cleanse your teeth. Use a straw. It may not be an appealing method for wine drinkers, but using a straw can really help smoothies and juices bypass your teeth. Finish a meal with a piece of cheese or a glass of milk. Dairy helps neutralize acidity and also contains calcium, which strengthens teeth. Wait 30 minutes before brushing your teeth after eating acidic or staining foods. This gives softened enamel a chance to toughen up so it’s less vulnerable to abrasion. Brush teeth for a full 2 minutes. Keep plaque off of your teeth. Always use a toothbrush with soft bristles. If it's within your budget invest in a high-quality electric toothbrush. Floss regularly. This prevents stains from developing between teeth. Chew sugarless gum. Sugarless gum increases saliva flow, which helps rinse your teeth. Gum that contains the artificial sweetener xylitol can help prevent cavities. Just be sure to keep gum away from your pets, as it can be extremely toxic to dogs in particular. Limit the use of whitening toothpaste. Whitening toothpastes work, but they can be abrasive. Limit use to one to two times per week. Follow cautions from the manufacturers of home whitening kits. Whitening kits offer major benefits, but products that contain peroxide can damage enamel, causing teeth to look gray. Talk to your dentist or doctor. Certain antibacterial mouthwashes and medications like liquid iron supplements and antihistamines contribute to staining. Ask about alternatives. Annette Wiegand et al. “Abrasion of eroded dentin caused by toothpaste slurries of different abrasivity and toothbrushes of different filament diameter.” Journal of Dentistry, Volume 37, Issue 6, June 2009, Pages 480–484.